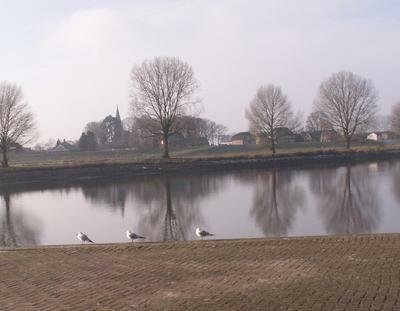 Here in our little village on the River Maas, we have gulls too. I send you two pictures of the river. On the other side you see a small place with a church. Over there people go on pilgrimage. There is a Lourdes replica. They go there to pray to the Virgin Mary. It is a great honour to see my pictures and words placed on your website. Thank you very much for sharing these beautiful photos of your home on our International Photo Sharing Gallery.